Maybe we could post suggestions for WabbitEmu here? 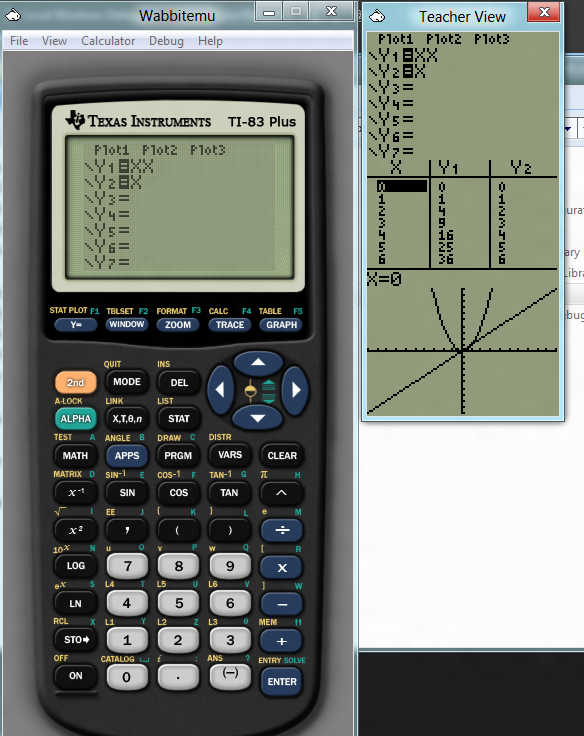 Also, my math teacher decided to use wabbit instead of TI-SmartView! aeTIos wrote: Also, my math teacher decided to use wabbit instead of TI-SmartView! Now, that's a commitment. Great to hear! Forgot to reply here. I'm working on a 'Teacher View' for wabbitemu to appear more to the education side. It will be a single place for you to view all the things I've had teachers request, including aetios's suggestions. Also good to hear your teacher is using wabbit. Let me know if he/she has any suggestions or issues with it. So you basically cut out the button parts from the skin image? Isn't there a Photoshop or GIMP resource file with layers? Who did those skins? There should be an easier way I mean. Yes, yes, Spencer and I, and easier but not better. The reason I'm doing it this way is two fold. One I don't need to do anything except write some more code. That means no creating new pngs, no writing code to read them, and they dont take up extra space in the exe. Second, if you have a custom skin (which are technically supported even though no one uses), this way will allow you to see whatever button is on your custom skin, regardless of whatever wabbit has stored. There's the working core of the teacher view. Compared to SmartView its super fast, and much more responsive. Working on letting you change around which one is which. Can we do a color version for the TI84C ? You mean emulation of the CSE? I believe that's already been implemented. TilEm2 also has color support (as does jsTIfied) but i think you'll have to build it from source, at least i haven't seen a Windows build anywhere.